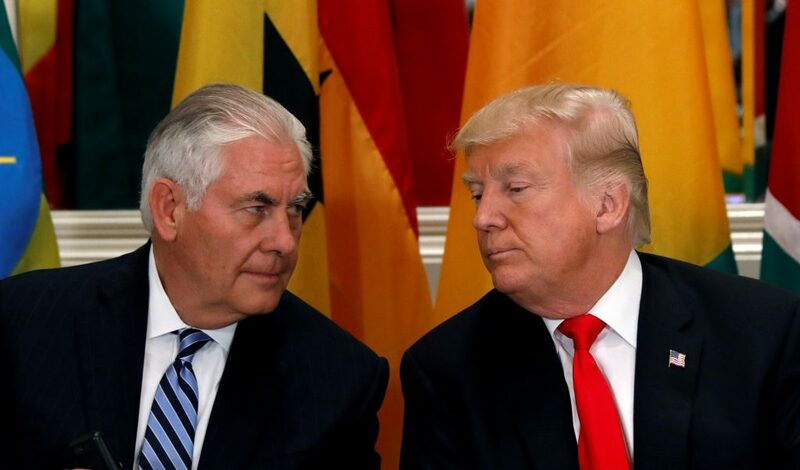 Everyone by now knows that the President Donald Trump’s Secretary of State Rex Tillerson was fired by tweet on Tuesday morning, the 13th of March 2018.He was fired after he dared to back the UK’s Prime Minister Theresa May as she condemned Russia for having attempted to murder by chemical weaponry individuals residing within its territorial boundaries. The president had yet to do likewise. 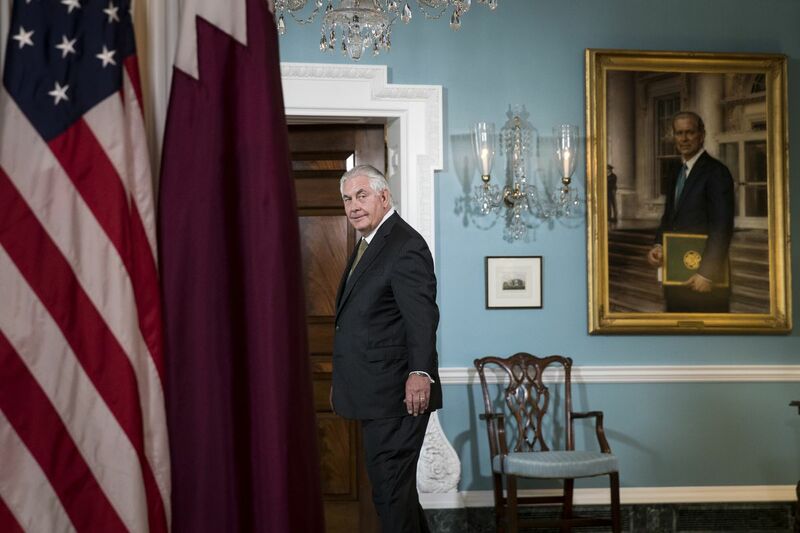 According to various news sources, the president’s Chief of Staff General John Kelly had told a room of White House officials and political reporters that Mr. Tillerson had been suffering from a stomach bug during a diplomatic swing through Africa, and he was using a toilet when General Kelly broke the news of his pending firing to him. This is a repeat of past lies that General Kelly has stated to provide cover for the US president. The president announcing that he and Mr. Tillerson had been discussing his imminent departure over time is a lie. 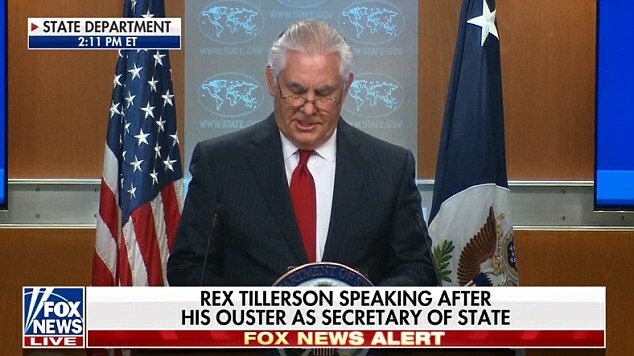 What happened after various White House fibs, is that Steve Goldstein, the undersecretary of public affairs at the State Department put out a statement stating unequivocally that Secretary Tillerson found out about his firing on Tuesday, 13th of March by a presidential tweet and that until that time Mr. Tillerson had no intention of stepping down. In Steve Goldstein’s version of events, Tillerson had never spoken with Trump about his imminent departure at all. 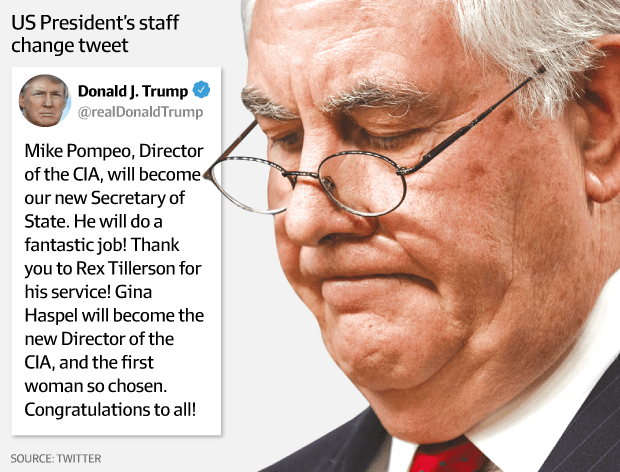 He has maintained that General Kelly merely told the State Secretary Tillerson he could “expect a tweet” from the president, not that he would actually be terminated. WOW: Tillerson had “every intention of staying… did not speak to the President and is unaware of the reason,” according to Under Sec of State Goldstein. Guess what happened next? 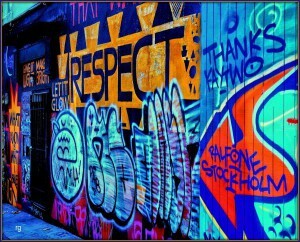 Mr. Goldstein was summarily fired. “Trump has designated State Department spokesperson Heather Nauert to be the acting undersecretary of state for public diplomacy. It is amazing how skilled the reporters are getting in ferreting out what’s true and not. The president doesn’t have any credibility and General Kelly is losing any he had. The truth was too simple. The president hated Mr. Tillerson and would have done nothing more than a tweet to fire him. General Kelly was just trying to put lipstick on the pig to make it look better but it didn’t work. In this and the previous century has there ever been a more inept administration? Someday, someonewill write a comedy about when the nincompoops ran the White House.